This is one mogwai you’ll want to give water and feed after midnight. Mo’ ‘Gremlin’ Venus flytraps, mo’ better. 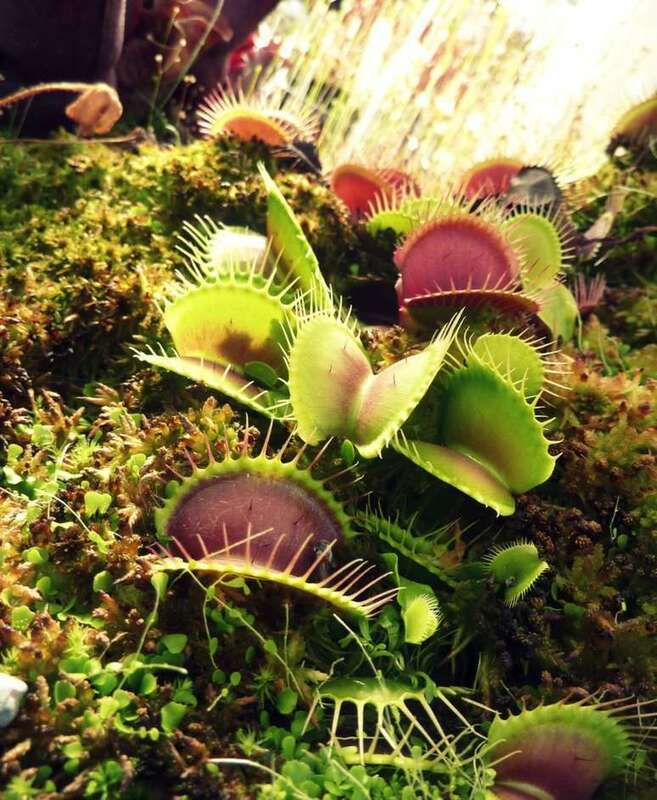 Dionaea muscipula ‘Gremlin’ is a Venus flytrap cultivar sold primarily by California Carnivores. The origin of this plant is enigmatic and is a rare example of a carnivorous plant cultivar not named for color, size, or morphological mutation, but because of its growth habit. 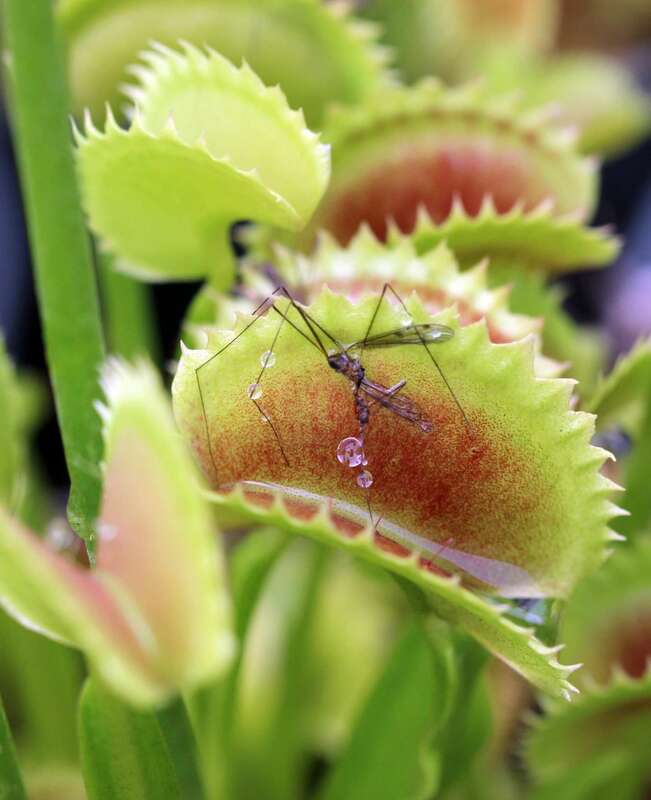 In 2009, Damon Collingsworth, co-owner of California Carnivores, noticed a clumping, green plant in an order of tissue-cultured Venus flytraps. The clone stood out to him, and he kept and propagated it. 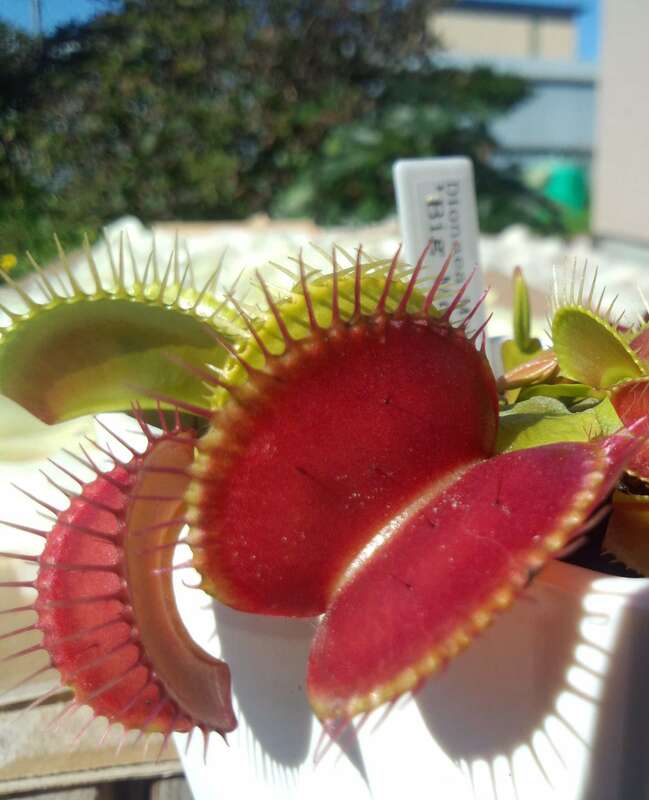 To his surprise, this new flytrap filled the pot within 6 months. He named it ‘Gremlin’ in the March 2013 edition of the Carnivorous Plant Newsletter, alluding to its “divisive” nature. Tissue-cultured plants are not necessarily clones of the original material. Frequently, genetically sensitive treatment in vitro causes mutations in individuals coming out of it. Therefore, the result is not always a clone of the donor plant. 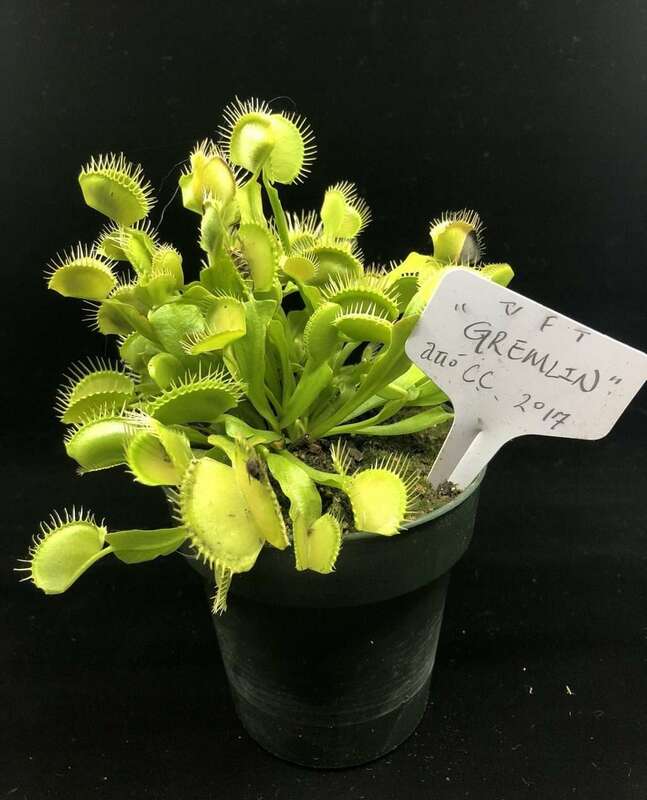 It is unknown whether the original procedure used to produce Dionaea muscipula ‘Gremlin’ was seed-based in-vitro tissue-culture, or a meristem propagated from a single donor plant. Either scenario could have procured plants similar to ‘Gremlin’, owing to a sexually-derived, natural mutation in the case of seed tissue culture, or hormone-based mutation in the case of meristem propagation. ‘Gremlin’ forms dense clumps of growth points over a short period of time. 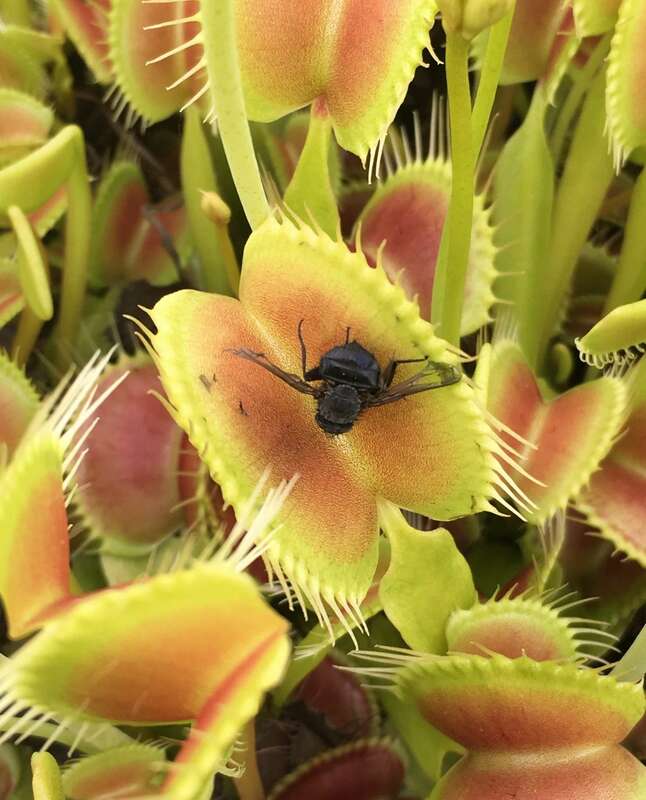 Pictured is a flytrap which began as a single growth point one year before the photo was taken. Dionaea muscipula ‘Gremlin’ also remains almost entirely green, with barely a hint of pink to the trap interior. As is the case with many carnivorous plants, and especially with ‘Gremlin’, the size of the traps corresponds with the age of the growth point. As a growth point ages, the traps it produces will become larger. The largest trap on the pictured specimen was almost an inch long. 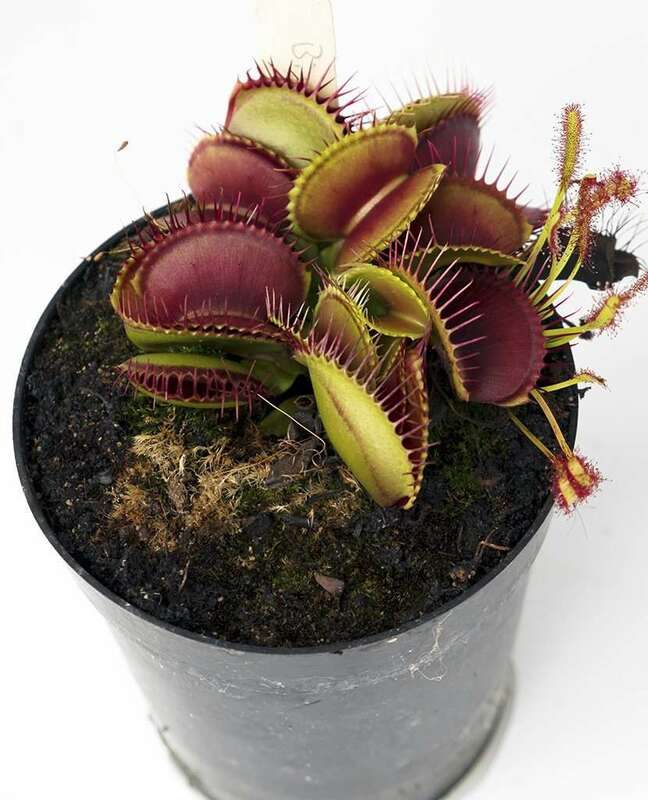 Overall trap size of Venus flytrap ‘Gremlin’ doesn’t compare to some of the larger varieties like D. ‘King Henry’ or D. ‘B-52’, but the plant more than makes up for it in quantity of traps.